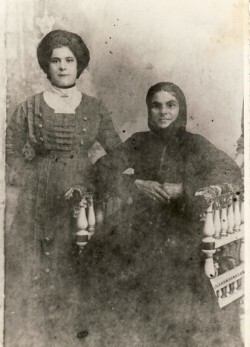 Above: .Her maternal grandmother, Anna, with her mother, Vasiliki. 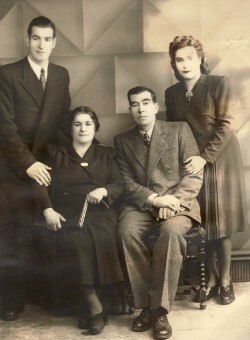 Above Right: Her parents, Vasiliki and Georgios- with her siblings, Sotirios and Penelope. Above: Family. 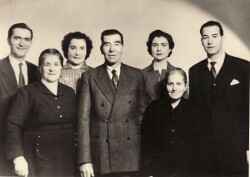 L-R: her brother-in-law, Paraschos Laftsis; her mother, Vasiliki; her sister, Penelope; her father, Georgios; her sister-in-law, Marika; unknown (possibly Marika's mother) and her brother, Sotirios. 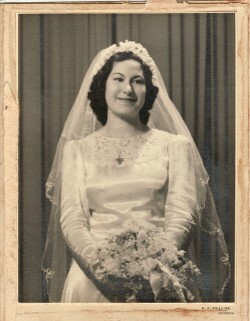 Above Right: .With her siblings and friends. 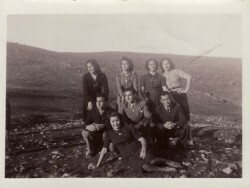 Ekaterina (Kaity) is standing first from the right, while her brother, Sotirios is seated in the middle, and her sister, Penelope, is seated in the foreground. 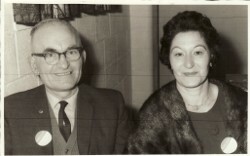 Above Right: With her husband, Emmanuel. Above: With her children, Stephanos, Anne and Mersyna. 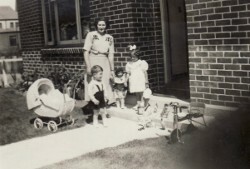 Above Right: With Georgia, Adrianna and her daughter, Mersyna. 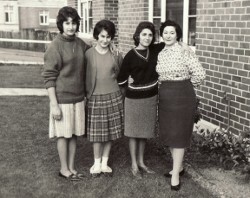 Georgia and Adrianna were migrants of the Gov't Sponsored Migration Program, and Ekaterina (Kaity) greatly helped such young ladies adjust to their adopted homeland.